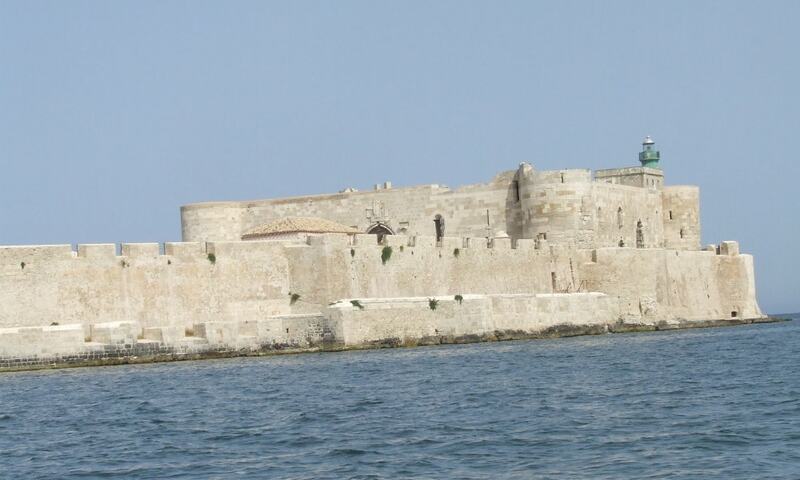 The Castello Maniace is a citadel situated at the far point of the Ortygia island promontory, where it was constructed between 1232 and 1240 by the Emperor Frederick II. It bears the name of George Maniakes, the Byzantine general who besieged and took the city in 1038. Originally, one could only enter the castle over a bridge spanning a moat (now filled). A notable feature of the castle is the decorated portal.